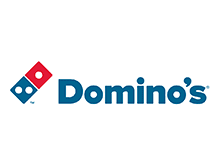 Little App – Buy Dominos Voucher worth Rs 100 at just Rs 29 only (New Users). Littleapp helps you save money through awesome deals on everything near you! Restaurants, Lunch/Dinner, Buffets, Spas and Salons, Gaming & Bowling, Water Parks, Amusement Parks etc. So Hurry up and avail this offer !! 4) On HomePage Click on “Dominos”. 5) Buy Rs 100 Voucher at Rs 29 only. 6) Pay the amount, You will get the Voucher soon. Note:- It will show Airtel, But don’t worry you will get Dominos Voucher. Personally Verified. 7) You can use 2 Gift vouchers on single order. Hey Guys, we already know Rooted mobile Trick to make unlimited. But here is simple way to create unlimited account on unrooted Mobiles. Have a look below !! 1) First of all, Download App Cloner Pro (Cracked version). 2) Install & Open it. 3) Select the Little App. 4) Goto Privacy Options >> Tick on Exclude from Recent, Android id, Imei, wifi mac address. (Also unTick on android and choose “Generate new android id for each clone). 5) Now go back from Privacy option and Change clone number from 1 to 2 for 2 clones and then 3-4 for 2 more clones. 6) Now Sign up on Little and generate Dominos Gift Vouchers at Rs 29. 1) Get a Voucher worth Rs 100. 3) NOT VALID on Domino’s App, Mobile Site or for Offline Transactions at Domino’s Outlets.